NOTICE: Recently there have been a large number of Scorpions found in the New Braunfels area. For scorpion pest control contact Big M Pest Control today! Big M Pest Control services New Braunfels, Canyon Lake, Bulverde, San Antonio, San Marcos, Seguin, Selma, Schertz, Selma and the Kyle, Buda areas. Our New Braufels pest control location offers many pest control and extermination services including insect control, rodent control, wild/stray animal trapping, wood destroying insect control, weed control, fungus control, herbiciding, bird control, bat exclusion/control, and sanitation consulting. We safely provide the extermination of scorpions, bees, rodants like mice, rats and squirrels including extermination of scorpions, snakes, termites, roaches, ants, fleas, ticks, moths, beetles and more. 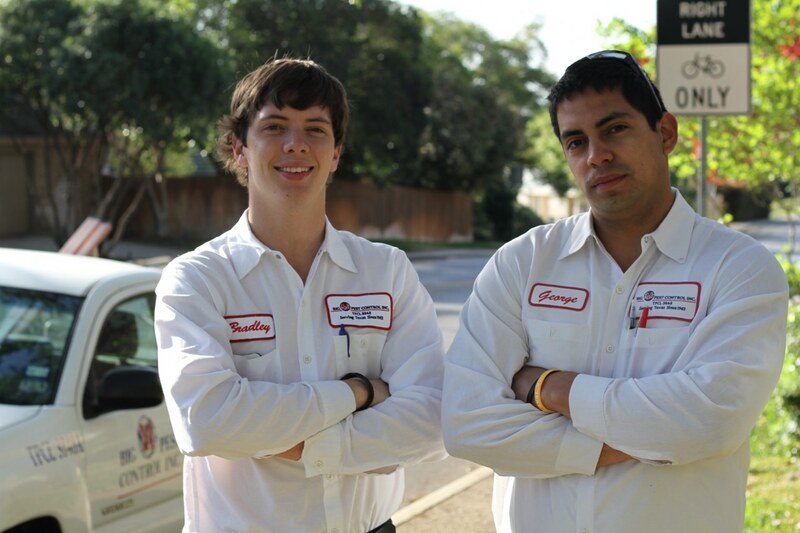 Contact our Big M Pest Control New Braunfels office today. Big M Pest Control provides the best extermination of bees including africanized bees, wasps, hornets and yellow jackets. The bait is taken by the ants as food and brought back to the nest where the poison is inadvertently spread to the entire colony. Termites are the number one pests for property owners. They can cause major damage to a home’s or building’s foundation. One of the most common household pest insects are Cockroaches. They feed on common household food including human and pet food. At Big M Pest Control our (IPM) Integrated Pest Management system begins with a thorough inspection of the property. Our certified exterminators focus on specific target problem areas and then employee additional tactics to keep pest problems from returning. Time of results will vary with the target insect and the pest management strategy employed, but for the most part results are rapid and long lasting. Your ongoing service agreement will ensure that pests are not only controlled, but prevented and kept out of your home or business. Big M Pest Control Inc. headquarters in Ingleside, TX and has two additional divisions located in McAllen, TX and New Braunfels, TX. We service a 30 mile radius around these great cities.